As oil prices show no sign of recovery, Russia is facing a sudden and acute currency crisis. Oil prices have essentially dropped by half in just a few months, and the speed has caught many by surprise. Russia, one of the world’s largest oil producers, had already been bracing itself for a recession, admitting in early December that its GDP might fall by about 0.8 percent in 2015. We have heard much about the breakeven points for many oil producing countries – for Russia, it needs somewhere in the range of $105 per barrel for its budget to breakeven. On December 15, the Russian ruble dropped 10 percent. The sharp decline prompted the central bank to raise interest rates from 10.5 percent to 17 percent overnight. That came after a one percentage point rate hike just last week. Russia’s ruble is now trading at an all-time low against the dollar, cratering from 58 rubles per dollar on December 12, to 64 per dollar on December 15. During intraday trading on December 16, the selloff continued – the ruble had fallen to 73 per dollar. The ruble has lost 45 percent of its value since the beginning of 2014. In a sign that the central bank is losing control, the severe rate increase has not yet calmed the markets. Analysts expect Russia to start selling foreign currency at a much faster pace to further backstop the ruble, but it has shown hesitation. Most disconcerting is the possibility that the central bank is holding its fire because it is worried about running low on foreign exchange. As The Economist notes, Russia’s massive $419 billion stash of foreign exchange reserves may not be all they’re cracked up to be. An estimated $170 billion is located in two separate wealth funds that may be difficult to access in a pinch. With much of its foreign exchange illiquid, Russia may only have about $200 billion on hand to weather the current storm. That is still a large sum, but the central bank may be worried that it might have to reinforce the ruble for an extended period of time if oil prices don’t recover. How did this happen? How did Russia’s economy and its currency deteriorate so quickly? Western sanctions struck the initial blow. But sanctions passed in the spring and summer only had a modest effect on the ruble. Instead, the swift decline of oil prices, particularly since OPEC’s fateful decision on November 27 not to cut production, has pushed the ruble off a cliff. Russia’s economy rises and falls with its oil industry – oil and gas make up 50 percent of government revenues and 70 percent of exports. But while oil lies at the heart of the problem, the immediate catalyst for the currency crisis may have been Russia’s move to prop up state-owned oil company Rosneft. 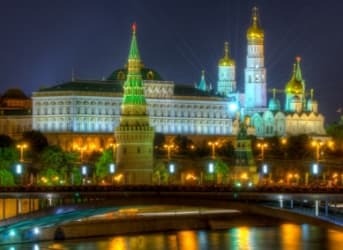 The Russian government has effectively resorted to a policy of printing money in order to assist the stressed oil giant, which is dealing with a worsening debt situation. Rosneft is struggling to roll over billions of dollars in debt that is coming due, prevented by western sanctions from working with western banks. The news that Russia is printing money likely sparked a sharp selloff over the last few days. If the bank cannot halt the decline, the next step would be putting capital controls in place as a last-ditch effort to defend the ruble. But that could also make the markets panic even more.